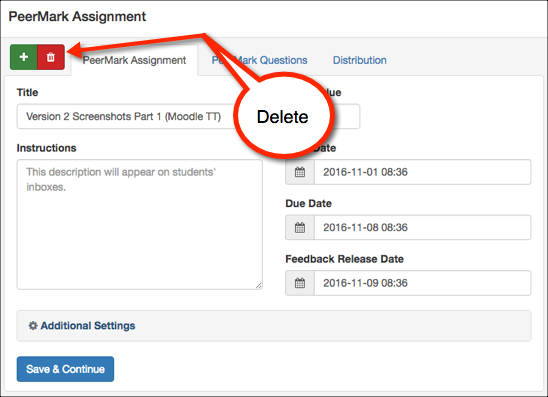 Turnitin provides a tool for instructors to set a peer review assignment as part of a Turnitin assignment called PeerMark. This allows students to read, review and evaluate submissions by their classmates based on a framework set by the instructor. Reviews can be anonymous or attributed and instructors can assign specific assignments to selected students to review. The UNSW Workshop activity provides more advanced functionality for peer evaluation only without the Turnitin Originality Report. You should review the capabilities of both the UNSW Workshop activity and PeerMark when deciding to use peer evaluation. On the Submission Inbox page of the assignment, Launch Peermark Manager from the green icon in the Peermark Assignments row. The document viewer for PeerMark reviews performs very much in the same way as the classic version of Turnitin. The interface will be upgraded by Turnitin in 2017. 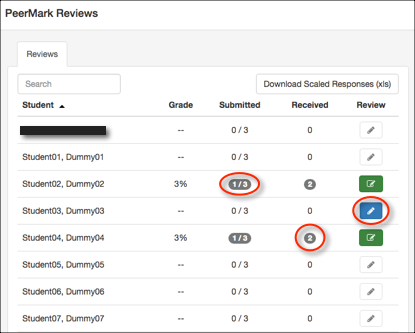 On the Submission Inbox page of the assignment, Launch Peermark Reviews from the green paper shaped icon in the Peermark Assignments row. Here you will see statistics based on which students have / have not completed reviews. You can also download a spreadsheet of all the data collected. There are various settings you can make use of within PeerMark. This section will explain what each of those settings does. Note: All options are set to "no" by default. 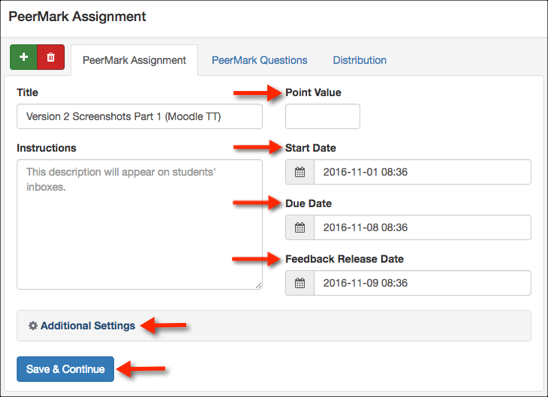 PeerMark and GradeMark are different, students will never be able to see other students feedback on their assignments from instructors. These options apply to the PeerMark aspect only. Award full points if review is written? 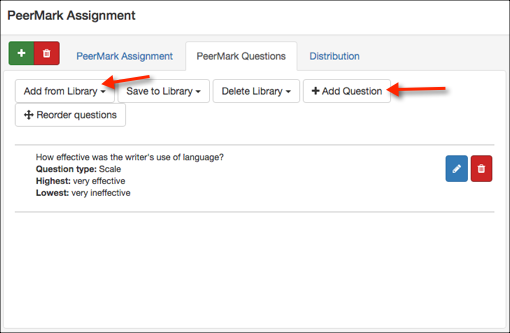 If this option is enabled, students that submit a review will automatically be given the highest possible mark for the PeerMark aspect of the assignment. Allow students to view author and reviewer names? If this option is enabled, students will then be able to view who's assignment they are reviewing and who is reviewing theirs. Allow students without a paper to review? If this option is enabled, students will be able to complete reviews on other student papers before submitting their own assignments. Allow submitters to read all papers after start date? If this option is enabled, students that have submitted a paper will have access to view all other student papers after the PeerMark start date is reached. Allow students to read all papers and all reviews after feedback release date? 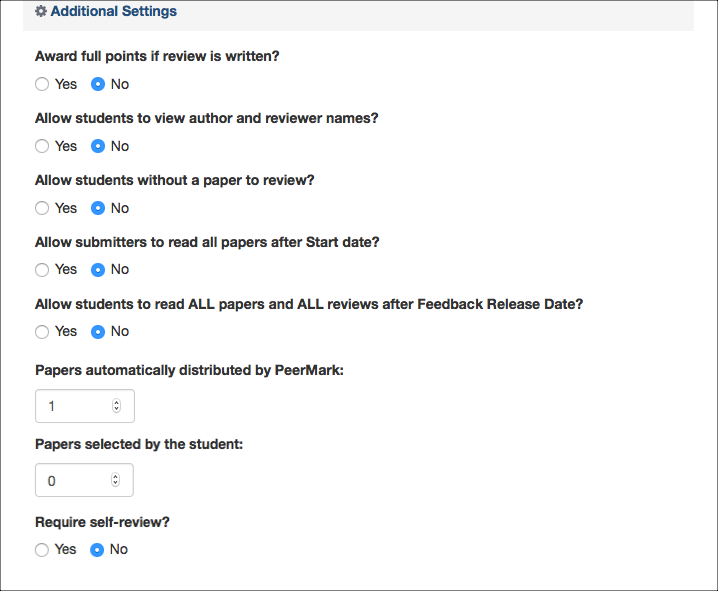 If this option is enabled, student will have full access to other students papers via PeerMark including reviews and comments made within PeerMark after the release date. 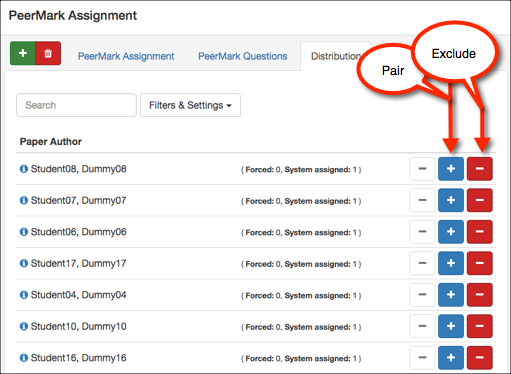 Papers automatically distributed by PeerMark: This option sets the number of papers each student is automatically assigned by the system to review. Papers selected by the student: This option sets the number of papers students are allowed to assign to themselves for review. Require self-review? If this option is enabled, students will be required to review their own paper, in addition to any others.